A female red-legged grasshopper, Melanoplus femurrubrum. Click to enlarge. 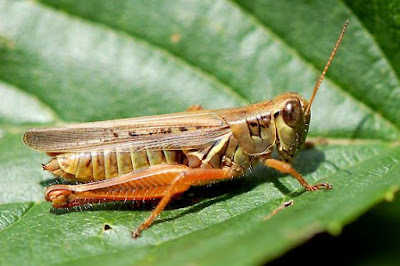 Seeing this grasshopper reminded me of this poem, by Mary Oliver. I don't know exactly what the prayer is.